The word policy can be defined as the set or the predetermined objectives sought by a party or an institution in to be achieved and preserved in the interest of the national community. It is therefore crucial for us to understand what was meant by an Education Policy in a given country or state. In addition to the understanding, we shall explore a depth analysis of the policy, its components, the various strengths and weaknesses, its comparison with policies of other similar states and also recommend any potential adjustments to the policy. The term education policy refers to a set of rules and laws that govern an education system. It defines how operations in the system are to be carried out. Different states have various education systems. A good example is Finland. If one wants to become a teacher in Finland, he must complete a Masters degree and be selected from a group of high ranking students. Teachers, lawyers and doctors are almost equally ranked in the society. A person in Japan is slightly different in that it operates via private funding. It has been praised for delivering students who perform excellent results. Many Japanese families have a culture of supporting education at their homes and this encourages most students to school for more time (McGuinn, 95-97). The United Kingdom, China, India also largely differ in their models of policy. The United States’ type of model resembles that of Australia. It consists of a three tiers namely Primary, Secondary and Tertiary Level. Most Western countries also follow this model including New Zealand. Whereas training in Finland and Japan is quite stringent and broad, the Australian and the U.S curriculums cover the basics of English, Sciences, Math and Arts. There have been education reforms in the education sector since 1980s. That has led to the development of standards for each student. These academic standards have been applied for guiding the other components in the system. The reform is based on measurable and clear standards for all students. 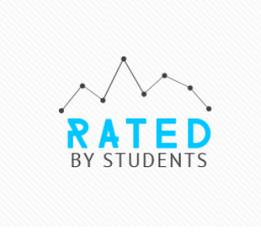 Contrast to the norm-referenced rankings, where each student is ranked according to the established standard. This system then aligns assessment, professional development and curriculum to the standard. The model in the US involves passing the tests and examinations based on standards according to the grade or the year of study. Graduation examinations are also aligned to it such that one should pass in order to proceed to the next grade. In most systems, students who fail to pass the tests are given a certificate of attendance rather than the normal diploma. From the foregoing, we clearly see that the current education policy has several weaknesses and strengths. Furman suggests that taking time to examine the strengths of the Education System in the U.S helps to take up the challenge they pose to us. We are able to put the problems into perspective. The U.S education system is well known for its inclusiveness. The US K-12 system has been designed to serve all pupils for a period of 12 years and maintain a high retention rate. This is to ensure that all the pupils enrolled through the system without dropping out (Furman, 103). It has contributed to 88% of young people earning high school diplomas or the equivalent by age of 25. It is flexible in that it offers a second chance to drop outs willing to resume their schooling. This prevents rates of school drop outs from rising far beyond or from escalating. Most schools, asserts Furman, not only uses technologies in everything they do but they also blend it with project based learning. The United State also has unique type of talents and resources which acts as the prerequisite factors facilitating growth of the education policy. Despite the strengths, the policy is faced with other serious problems too, including politicization of the education policy. Much time is wasted when discussing minor issues at the expense of employing measures to regain its fading glory. The system has not fully incorporated certain types of learning like the Rudolph Steiner and the Montessori Schools do. The general weakness is that the students are not being fully prepared to develop their learning skills. Hence students are not well prepared to handle many life concerns. Similar to that of the United States have a well developed and well inclusive education policy in Russia. They also have a curriculum that incorporates oral exams and this helps students gain more practical skills and develop their interpersonal skills better. However, the procedures for joining high school and university are more vigorous and time consuming. Every student is entitled to sit for two entry level exams. This is well known as the dual exam system. The exams covers almost the same curriculum ground hence can be tedious and time consuming .Another setback is that they use entry examinations to regulate the number of students entering a given discipline. In addition to this, there is no sufficient information available to the students about the availability of other suitable vacancies. The quality of the exams is also not guaranteed. Unlike the US, a national policy in Russia is responsible for the determination of the direction to be taken by the centralized education system. The US government unlike Russian initiates funds and also avails sufficient information about availability of government initiated grants and even for the gifted and talented students (Braxton, 39). In both nations, children with the help of the parents are at liberty to chose and enroll in the schools of their choice. Both education systems were based on the historical and traditional background, so that’s why they are unique. Children should not be involved by force into the current model of education. The model is not suitable for children since everyone is a natural learner. Since all were born with creativity, curiosity, intrinsic motivation and wonder, children should not be cut off from the society and from social media. This usually occurs in most schools of the United States. It would be fair enough to support achieving students, promote their professional development, encourage teamwork from their teachers and leaders and encourage all the stake holders to hare this responsibility. The mission and a vision of the stakeholders in the education sector should be executed in such a way that it aligns everyone’s efforts and contribution every day. The ultimate goal is not a rigid set of content knowledge, but flexible progressive habits of mind that equips a child to handle the different life challenges or concerns. If we adopt the above recommendations and commit ourselves to pursue excellence in their administration and execution, we will have managed to face revive the dwindling education system in the UnitedStates of America.